I recorded a jam today and then used Reaper DAW to edit together a song from it. I need to work on making my edits smoother but I’m still learning how to use the software. 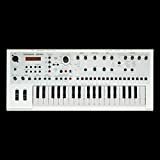 Instruments are Roland JD-Xi and System-1 Synthesizers, and TB-3 Touch Bassline. The JD-Xi is playing drums as well. I made some music today while I was streaming it on my Twitch channel, using the Music category for creative streams. I’m still working out the details on using my new Roland MX-1 Mix Performer . The other instruments are a Roland System-1 Synthesizer , a Roland JD-Xi synthesizer, and a Roland TB-3 Touch Bassline . I use my Kawai MR120 Digital Piano on some of the songs but not all of them. I plan on doing this some more and once I’ve got an assortment of my own music clips, I’ll try using them with Ableton Live. You can see them once I post them to Youtube, or can see my create in real time and live on my Twitch channel. 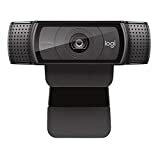 The Logitech C920 Webcam is on sale today at 50% off for Amazon Prime members. 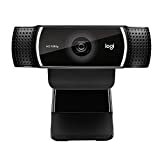 This is what I use at home for streaming on Twitch, making Youtube videos, and video chatting. The picture and audio quality are very good, although I use a professional microphone in my setup, instead of the Logitech 920’s built in mic. About the only thing that could be improved on this is that it lacks a built in privacy cover. You can buy one of those too on Amazon, for about $18. I did and it helps prevent accidental exposure and unwanted spying.